Successfully Added Car Bluetooth Launcher - 1.4-Inch Display, Bluetooth Music Player, Hands-Free Calls, 2x USB Charger Output, 32GB SD Card Support to your Shopping Cart. This smartphone charger and Bluetooth launcher for in your car is a great gizmo to increase your comfort on the road. This car accessory can be easily connected to your car by inserting it into your cigarette lighter. Once in place, it lets you listen to music through Bluetooth, engage in hands-free calls, and charge your mobile devices. It comes with a 1.4-Inch display on which it easily lets you browse through its options and select the features of your liking. From now on, you’ll be able to listen to your favorite songs, answer calls, and charge your devices while on the road. 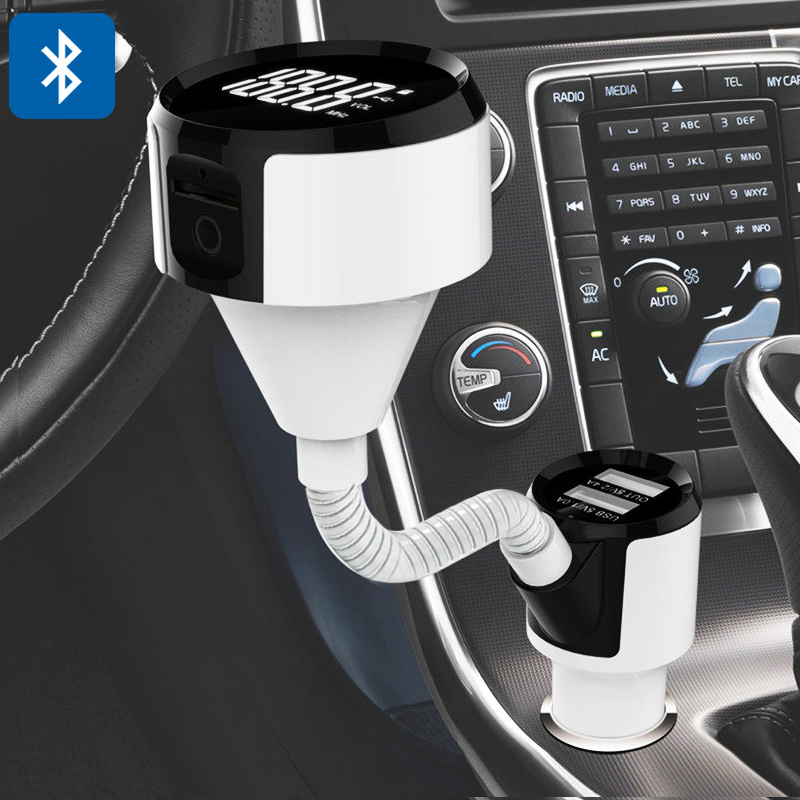 With its two USB inputs, this car gadget lets you charge two mobile devices at once. Thanks to this, your passengers and you will never have to worry about running out of juice again. Additionally, your car accessory supports Bluetooth 4.2. This allows you to synchronize it with your smartphone after which it lets you listen to music and engage in hands-free calls. The car gadget features a 10m Bluetooth range. No matter where in the car your phone is located, you’ll always be able to answer calls and listen to your tracks. With its 32GB SD card input, it additionally lets you insert your favorite songs in MP3 format. This car accessory comes with a 12 months warranty, brought to you by the leader in electronic devices as well as wholesale car gadgets..